Registering your copyright with the U.S. Copyright Office creates a public record confirming you have claimed copyright ownership of that particular work. This lets the public know the work is protected by copyright and also informs those who would like to use the copyrighted work whom they should contact for permission. If the copyright is registered before the work is published, or within five years after publication, the registration is accepted as proof in court that you are indeed the original creator of the work and are entitled to copyright protection for it. The use of a copyright notice -- a letter "c" inside a circle along with the copyright holder's name and date the copyright started -- is no longer legally required, but it enhances the effect of copyright registration by putting all viewers on notice that the work is protected by copyright law. Although criminal prosecution may result from large-scale copyright infringement actions, enforcement of most copyrights against infringement is accomplished through civil lawsuits filed by the copyright holder. Copyright holders for works created in the United States must register their work with the U.S. Copyright Office before they can file a copyright enforcement lawsuit in federal court. Registering a work with the U.S. Copyright Office allows the copyright holder to also file that registration with the U.S. Customs Office, which protects the work against importation of infringing copies, such as black-market DVDs or CDs. If you register your copyright within three months of publishing the work, or at least prior to any infringement occurring, you can recover your attorney's fees and costs of suit, as well as statutorily set damages that may be higher than your actual damages if you prevail in an infringement lawsuit. Copyright holders often have difficulty proving the actual damages that result from a copyright infringement. 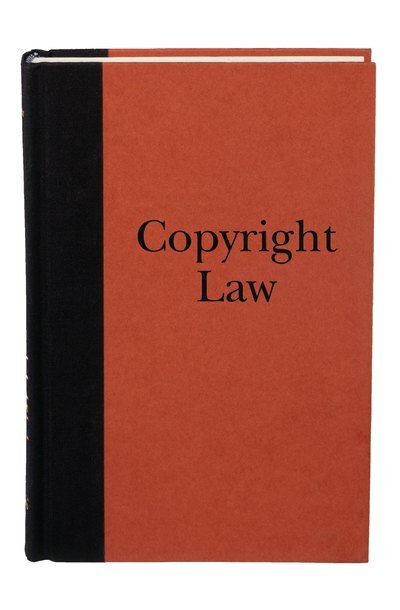 Without timely registration, the copyright holder is only entitled to actual damages, but with timely registration, the copyright holder may be awarded between $750 and $30,000 per violation, with additional compensation possible if the court finds the infringement was intentional and willful. The primary disadvantage to copyright registration is simply the time and modest costs involved in the process of filing the registration. The copyright registration application can be completed online through the U.S. Copyright Office website. A copy of the work itself and required registration fee may be submitted online, by mail or delivery to the U.S. Copyright Office in Washington, D.C. Online registration has the lowest fees and shortest turn-around time. In some circumstances, multiple works may be registered together as a single collection on one form for a single filing fee. Copyright is usually associated with text and music, but it also covers most works of art — even sculpture. As long as the work is "fixed," which means it is in a tangible form, copyright rules apply. It is important for artists to be aware of these rules in order to protect themselves and their art. Copyright protection attaches to many forms of creative work, including motion pictures recorded on a DVD. Copyright protection is automatic in the United States for works created after 1976, but you must register your copyright with the U.S. Copyright Office if you want to bring a legal action against someone who is using your work without your permission.